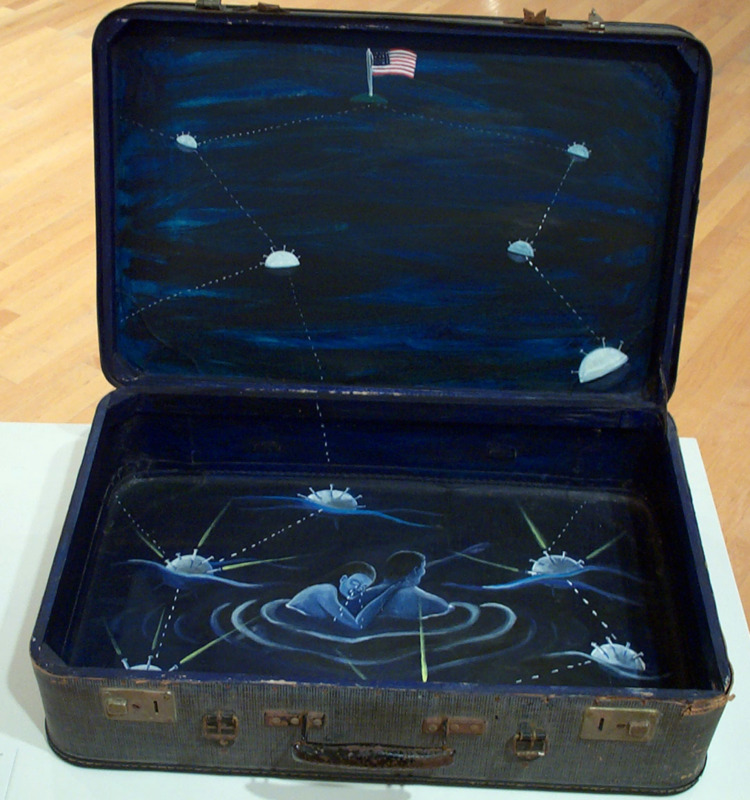 In 1998, the ASU Art Museum presented “Contemporary Art from Cuba: Irony and Survival on the Utopian Island,” an exhibition of the work of 17 artists living and working in Cuba. 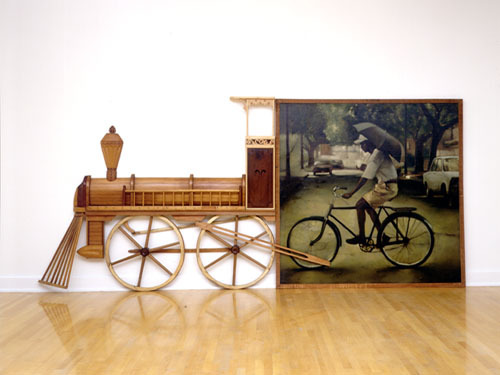 Curated by Marilyn A. Zeitlin, the Museum’s director and chief curator at the time, the exhibition represented a milestone for Cuban art and awareness of that art in the United States. The exhibition traveled nationally and established the Museum’s strong collection of contemporary Cuban art. “Contemporary Art from Cuba” included work that reflected various views of the revolution and the realities of life in Cuba under the United States' embargo. The artists speculated on Cuba's complex past, its love/hate relationship with the United States and its combination of African, European and Asian cultures. Humor was prevalent for its essential role in coping with the challenges of everyday life in the face of an uncertain national destiny. "This is a Golden Age of art in Cuba," Zeitlin said. "Cuba's isolation has produced an artistic output that is fresh and independent. Nothing seems jaded or self-indulgent, but rather full of vitality and relevance to the core issues of living." Artists in the exhibition whose work was acquired for the ASU Art Museum collection included Belkis Ayón, Abel Barroso, Jacqueline Brito, Los Carpinteros, Carlos Estévez, René Francisco, Kcho, Sandra Ramos, Fernando Rodríguez, Esterio Segura, José A. Toirac, and Tonel. Their works comment on shortages, persistent racism, the manipulation of history, the tragedy of the balseros (boat people) who left the island on makeshift rafts, and the contradictions between revolutionary rhetoric and present day Cuban reality. 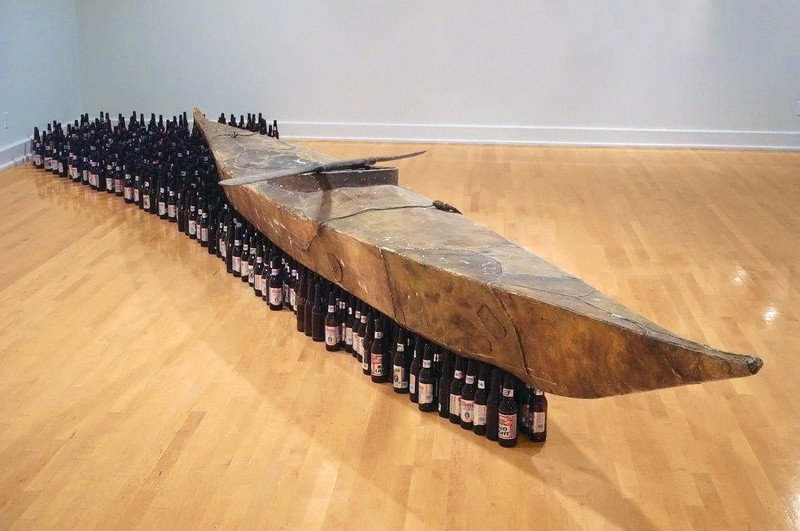 Since this landmark exhibition, the ASU Art Museum has continued to present and collect work by Cuban and Cuban American artists, including Pedro Alvarez, Anthony Goicolea and Jorge Pardo.